1. 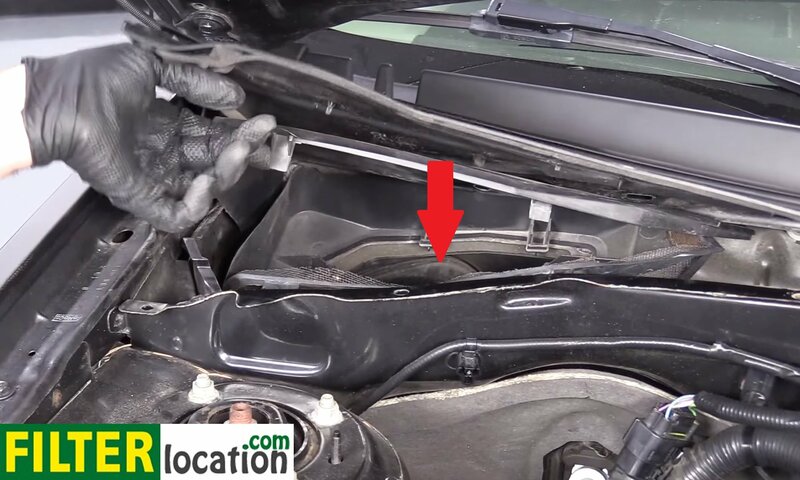 Where is located the cabin air filter on your Ford Escape 2008-2012? You should find the cabin filter on your Escape in a plastic box, beneath a plastic cowl under the windshield, on the passenger’s side of the car, as you can see below. 2. 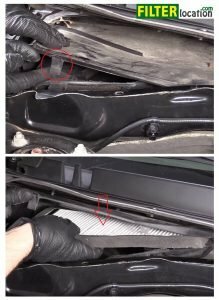 How to replace the cabin filter on your Ford Escape 2008-2012? 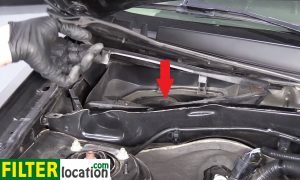 Reinstall and secure the cowl with the push clips. 3. Why is necessary to replace the cabin air filter regularly? 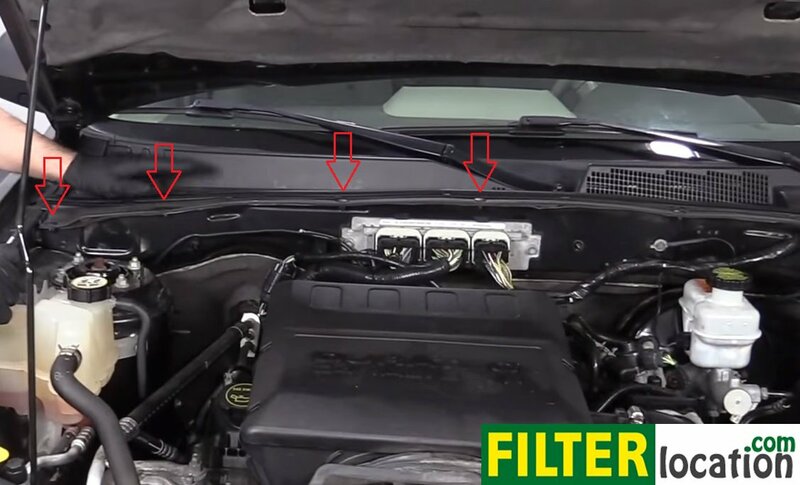 The main role of this filter is to clean the air that enters your car. It should stop the impurities, the dust or the pollen from the outside air. It has also the role to stop bad smells, making the air inside the cockpit pleasant and clean. It can make a difference for those who suffer from allergies or respiratory problems and should give you a more comfortable driving and traveling experience.